Providers have reduced their annuity rates in October just as yields increase following hints from the US Federal Reserve that interest rates could increase in December. Providers of standard, smoker and impaired annuities have reduced rates during the month of October by up to 2.1%. Towards the end of the month the 15-year gilt yields were up after the US Federal Reserve hinted they may finally raise interest rates in december. For the month yields were 13 basis points up and annuity rates are now expected to increase if investors hopes of higher US interest rates can be fulfilled. 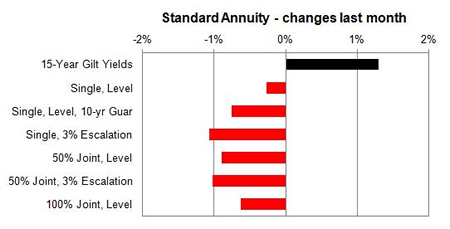 Standard providers lowered rates by 0.71% and we would expect to see a annuities higher by 2.01% in the short term and in the medium term of 3 months annuity rates will increase by 0.85% if yields do not improve further. 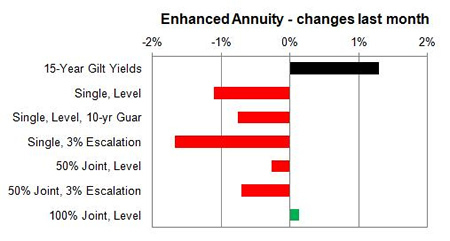 Smoker and enhanced annuity providers decreased their rates by 0.87% on average with an increase of 2.17% possible in the short term and in the medium term of 3 months we can expect an increase of 2.87%. The majority of rates increased with 6% rising, 80% remaining unchanged and 14% decreasing. 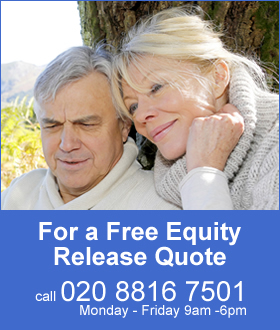 Standard annuities all reduced with the largest for escalating and joint life rates by 1.0% on average. The highest fall was up to 1.4% for those aged 65 on a single life with 10 year guaranteed period and level basis. For enhanced and smoker providers rates mainly decreased with the highest of 2.1% for those aged 75 on a single life basis level basis although there was a small increase for 100% joint life rates for those aged 65 to 70.